Black Ball Sporting Club is hosting for the second time PSA-CIB Black Ball Squash Open 2019 for Women, It’s a gold championship including 24 top professional squash players from all around the world! 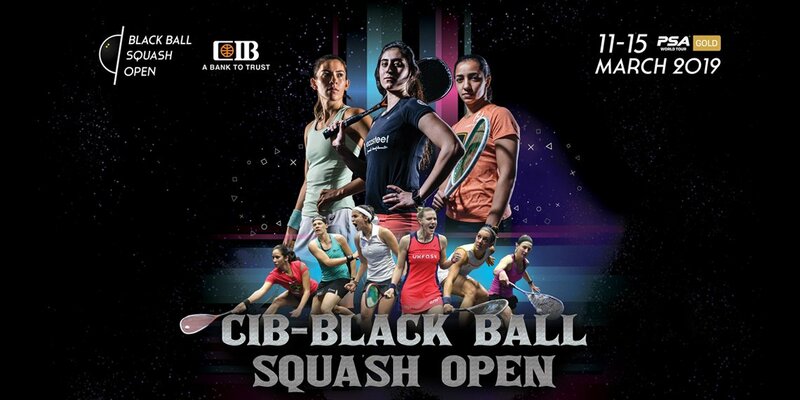 CIB-Black Ball Squash Open 2019 is held from 11th to 15th of March at Black Ball Sporting Club. Entrance is free for the first two days of the tournament!